Boon is "Simple opinionated Java for the novice to expert level Java Programmer". Boon is a " Low Ceremony. High Productivity" framework. It is meant to be a "real boon to Java to developers!" Many languages have slice notation (Ruby, Groovy and Python). Boon adds this to Java. Boon has three slc operators: slc, slc (start only), and slcEnd. 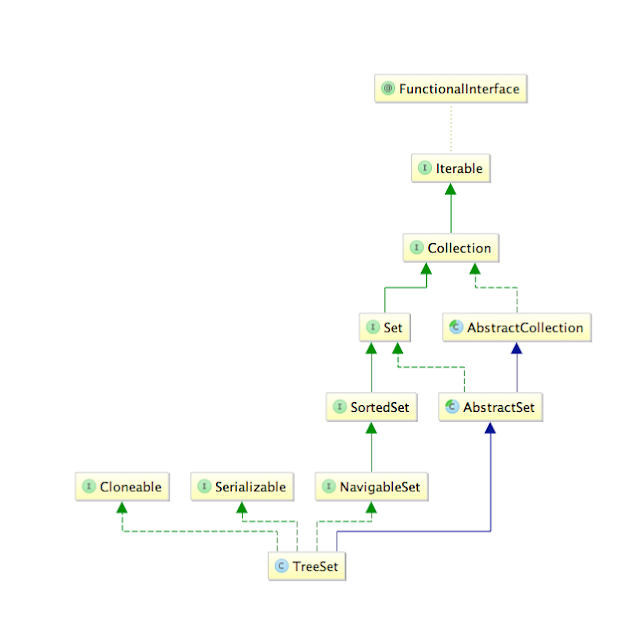 With Boon you can slice strings, arrays (primitive and generic), lists, sets, tree sets, tree map's and more. This article explains slice notation and how it is implemented in Boon. It shows how to use slice notation with arrays, sets, tree sets, etc. You can use Boon slice notation to search TreeMaps and TreeSets easily. With Boon, slicing primitive arrays does not use auto-boxing so it is very efficient. slcEnd stands for end slice. The key point to remember is that the end value represents the first value that is not in the selected slice. So, the difference between endand start is the number of elements selected. For example, if you ask for slcEnd(a, -2) (a[:-2]) and a only contains one element, you get an empty list instead of an error. Sometimes you would prefer the error, and with Boon you have that option. Here are some basic Java types, list, array, veggies, primitive char array, and a primitive byte array. //Boon works with lists, arrays, sets, maps, sorted maps, etc. //In Java a TreeMap is a SortedMap and a NavigableMap by the way. Boon comes with helper methods that allow you to easily create lists, sets, maps, concurrent maps, sorted maps, sorted sets, etc. The helper methods are safeList, list, set, sortedSet, safeSet, safeSortedSet, etc. The idea is to make Java feel more like list and maps are built in types. There are even methods to create maps and sorted maps called map, sortedMap, safeMap (concurrent) and sortedSafeMap(concurrent). These were mainly created because Java does not have literals for lists, maps, etc. You can index maps, lists, arrays, etc. using the idx operator. //Using idx to access a value. The idx operators works with negative indexes as well. Ruby, Groovy and Python have this feature. Now you can use this in Java as well! The Java version (Boon) works with primitive arrays so you get no auto-boxing. Something that Ruby and Python don't have is slice notation for SortedSets and SortedMaps. Slice notations works with sorted maps and sorted sets. Here is an example that puts a few concepts together. You are really doing with slicing of sorted maps and sorted sets is a between query of sorts. What item comes after "pi"? TreeSet implements NavigableSet and SortedSet. Here is is with the set of fruit we created earlier (set is a TreeSet with "apple", "kiwi", "oranges", "pears", "pineapple" in it). Here it is again but this time we are searching for fruits that start with "p", i.e., idx(set, "p"). You could also ask for the item that is after another item. What is after "pi"? What if you want to know what is before "pi"? How about all fruits that are between "ap" and "o"? As I promised there is slice notation! How about all fruits after "o"? So all fruits after "o" is "apple" and "kiwi". So all fruits up to and including "o" are "oranges", "pears" and "pineapple". zlcEnd stands for zero tolerance end slice. The method len and idx are universal operators and they work on lists, arrays, sets, maps, etc. len give me the length of an array-like, list-like, map-like, thing. idx give me the item at the location of an "index" in the array-like, list-like, map-like, thing. Another way to express idx(letters, -1) == 'd' is idx(letters, letters.length() - 1) == 'd'! I prefer the shorter way! Slice notation has always been a real boon to me when I used it with Python and Groovy. I plan to use slice notation with Java for years to come. I hope you enjoy Boon Slice Notation. Easily read in files into lines or a giant string with one method call. Boon has Slice notation for dealing with Strings, Lists, primitive arrays, etc. If you are from Groovy land, Ruby land, Python land, or whatever land, and you have to use Java then Boon might give you some relief. If you are like me, and you like to use Java, then Boon is for you too. Core Boon will never have any dependencies. It will always be able to run as a single jar. Published at DZone with permission of Rick Hightower . See the original article here.